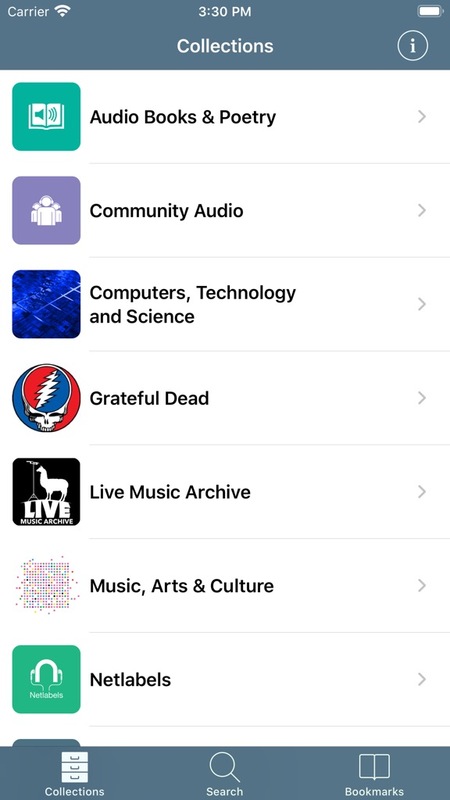 AudioBop is an app to browse the Internet Archive's Live Music and Audio archives. 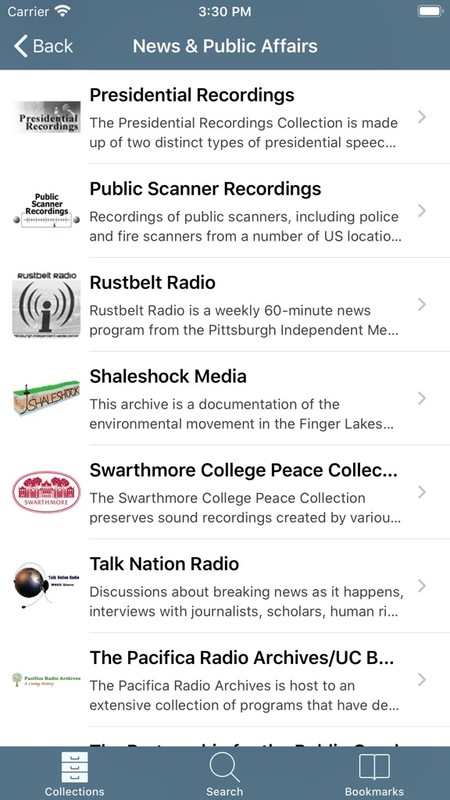 To browse the archives, tap on one of the several available types of collections. Doing so will display all the sub-collections within that collection.